From left to right on the back row - Richard Jordan, Kenneth Miller, Maxwell Lattie Taylor, Charles Strater, and Clayton Faison. In front is Rev. 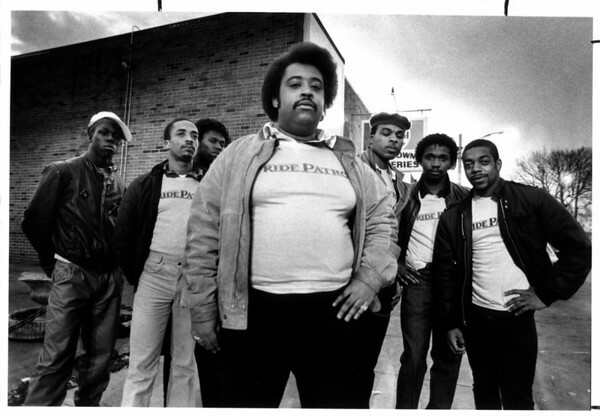 Sharpton - organizer for Ride Patrol. Photo - By James P. McCoy - 4/6/1985.